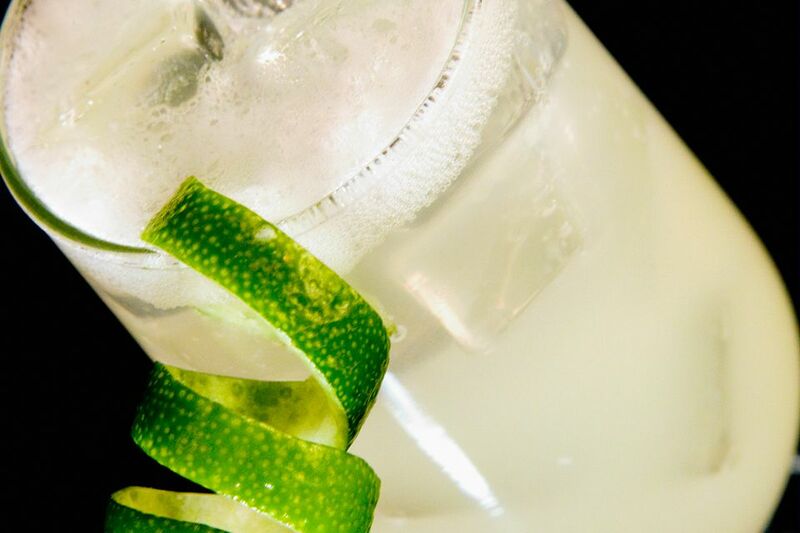 If you love the flavor of a Moscow Mule, then you may really like this Stoli Alibi cocktail recipe. It is the same tasty combination of vodka and ginger, it just goes about it in a slightly different way. The Stoli Alibi is a very simple ginger-flavored drink that features Stolichnaya (popularly just called Stoli). This is one of those fantastic Russian vodkas that you can rely on to create great drinks. Where the Moscow Mule uses ginger beer for its ginger flavoring, the Stoli Alibi opts for a syrup. The ginger syrup is easy to make from scratch and brings in both a sweet and spicy element to the drink. When made with the best ingredients, the Stoli Alibi is an impressive, snappy vodka highball. Who knows, it may quickly become a new favorite! Top with a splash of club soda. Even the simplest of mixed drinks deserve extra attention. In fact, because this is such a transparent drink, each ingredient is even more important. The Vodka. This cocktail recipe did come from Stolichnaya, so it is only appropriate that you pour it with that vodka. Personally, I prefer to use Stoli Elit because it is even smoother and a perfect upgrade. However, either vodka is a perfect choice. If you want to step away from the 'call drink' and opt for another vodka, make sure it is a good one. This is a very clean cocktail and it deserves a clean vodka. The Ginger Syrup. The ginger syrup is just like any other simple syrup and is very easy to make from scratch. It is a nice flavor to keep in the fridge on a regular basis and can even be topped with club soda for a super quick homemade ginger ale. If you want to shake the flavor up a little bit, make a vanilla-ginger simple syrup. The Lime Juice. I will preach it until you squeeze it... Use fresh lime juice! Fresh juices will simply make any drink just a little bit better. There is no reason to bring a perfectly good drink down with an overly sweetened imitation of lime. The Soda. While on the subject of upgrading the most ordinary of ingredients, let's talk about club soda. Soda is an often underrated ingredient in the bar though it deserves some attention. Your cocktails will be just a little bit better if you choose a club soda that was designed for cocktails. Both Q Drinks and Fever-Tree produce fantastic club sodas that are perfect for a drink like the Stoli Alibi. If you do not upgrade the soda, at least make sure it is as fresh as possible! Crack that little bottle of soda immediately before pouring the drink. How Strong is the Stoli Alibi? This cocktail is going to stronger or weaker depending on how much soda you pour. With a 4-ounce pour of club soda, the Stoli Alibi would weigh in at right around 5 percent ABV (10 proof). It can be a nice and mild drink if you allow it.